Last edited by Joe Moore; 04-16-2018 at 10:01 AM..
.... Who the Hell was asking for this? Dammit Randy, you know what properties we want, stop messin' around!!! Considering it looks like it's only available from Scott's store (for now), my guess is he was asking for it. If it goes elsewhere, it will be cheaper, but without the signed box. This would be awesome if at least it looked like him. 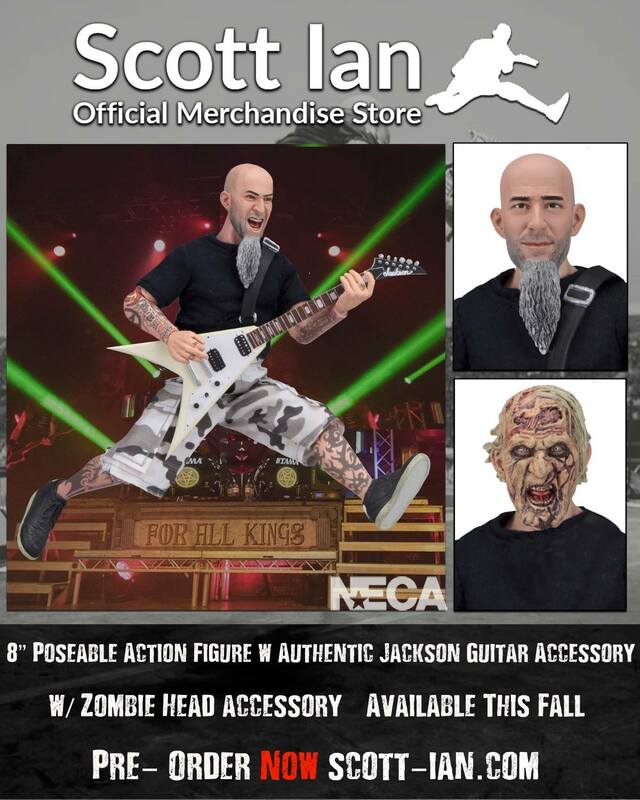 A bald head and an insane beard does not automatically make a Scott Ian. Well if anything I'm happy for those who really wanted this... but if a figure as niche as this can be made in any format then there is no reason why a Predator 2 7in Mike Harrigan (Danny Glover) figure wouldn't sell... I can't be the only one who thinks this. P.S. I apologize if I come across like a broken record or a thankless fan.. not my intention. Last edited by AlanThCollector; 04-16-2018 at 12:02 PM..
Nice to see better guitar hands on a Scott Ian figure. Odd that the left hand isn't a power chord but it does fit for leading in the war dance. NECA wouldn't green-light the thing if they didn't see a market for it, surely. Or maybe the artist funds it himself? I've known authors to print their own books. That chin tuft thing is annoying. Somebody give the guy a hedge clipper. I'm still sitting in the corner waiting for NECA to do more Iron Maiden Eddie figures that aren't just mego re-releases, hell I'd be game for them to just re-release some of their old Iron Maiden figures. I'd also be interested in a Vic Rattlehead figure but I know that's probably just wishful thinking on my part. Not a fan of this figure but I hope to God it means NECA or someone would make a Robert Smith figure. Scratch that. I don't mean any company. I don't want to be stuck with a weird bobblehead thing or any other weird thing someone can do. I mean an actual fully articulated replica. Last edited by Boogieman4hire; 04-17-2018 at 09:35 AM.. I like Anthrax... I LOVE Crush. I don't like them enough to buy this. didn't NECA have a Simpson license at one point? I wanted to be one but I didn't make the cut. Probably for the best. I don't think I could hack it. Didn't have the chops. hahaha, I see what you did there, as for this figure- it's cool and all but seeing as I havent been a fan of anthrax since the early 90's, I think I may pass, I wouldnt mind some Slipknot Neca figures though, and I'm not really a fan of theyre's anymore, but man would they make some sweet figs.